One of the unique features of the 3 chip camera implies a superb color separation into the channels red, blue and green. Therefore, the Panasonic GP-UH332 provides faithfull colors for various implementation possibilities. For price close up, the camera enables an ex zoom feature. Details can be reviewed without a loss of resolution. 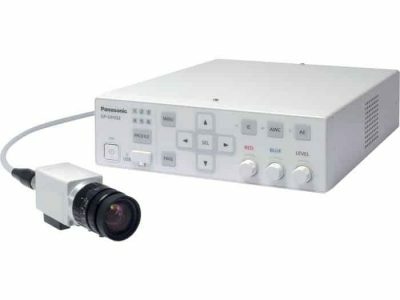 The Panasonic GP-UH332 system can be applied in a variety of medical devices and procedures as it compliant with the Medical Electrical Standard IEC60601 ( IEC60601-1 / IEC-60601-1-2). Chemical resistance coating prevents the system from deterioration of resin portion and peeling of coating if the equipment is wiped with chemicals, such as alcohol.